Not since the invention of the walkie-talkie in the 1930s has group communication been as simple to enjoy and deploy as ListenTALK. ListenTALK stands a head above the rest of the hand-held, one- and two-way group communication systems (yes, it can be both). First of all, it’s simple to set up — either pair groups in the docking station or with a tap. After that, using the system is a cinch. With a push of a button, the group leader and members can communicate easily with each other. Plus, it’s lightweight and connects with a lanyard or clip. The ListenTALK system uses 1.9 GHz frequency to reduce interference, so you won’t cut out or have static interrupting your audio. It also has a sensitive internal mic, which means you don’t even have to hold it up to your mouth. When you combine the right frequency with the best internal mic, you get crystal-clear audio for everyone. If you’re worried about privacy in a communication system, ListenTALK has your back. It’s encrypted to ensure security. ListenTALK works perfectly, delivering high-quality, crystal-clear audio, no matter how big your group is or where it is. That means you could be in a group of five or 50, in a quiet museum or wandering around a campus of 30,000 students. The only limit is how many ListenTALK receivers you own. It can even have up to 10 simultaneous groups operating in the same space. Are you worried about ADA and IBC requirements? Well, ListenTALK checks all those boxes, too. Unlike other compliant systems, users don’t need cochlear implants, hearing aids or other specialized equipment to use it. Plus, not only does it meet ADA and IBC rules—it’s inclusive for everyone, whether they have hearing loss or perfect hearing. Do you want a communication system that has two-way communication functionality? Or is one-way communication more critical? ListenTALK has both options. With our combination transceiver/receivers, you’ll have the choice of one-way or two-way communication. Or you can choose our more affordable receiver-only units, for one-way communication. Then there’s the choice of how to listen. You can use our headsets, provide your own, use noise-canceling headphones, or have your guests bring their own earbuds. Maybe we’re biased, but ListenTALK is cool tech that’s fun to use. How many other group communication systems can you connect by tapping them together? You can personalize ListenTALK units with a specialty lanyard, and guests can choose how they look when using them by providing their own earbuds. Once you experience the cool tech of ListenTALK, you’ll never want to touch a walkie-talkie or other group communication system again. No other group communication system compares to ListenTALK. This cool tech provides crystal-clear, secure sound to any group. Plus, it’s ADA and IBC compliant and gives you and your group members the choice of how to listen. Are you ready to try ListenTALK? Call us now at (888) 296-1623 or request a demo. Although Hearing Loop technology has been around for quite a while now, some people still have misperceptions that it doesn’t work well. The reason is that Hearing Loop systems of the past received a bad reputation, because of people not fully understanding the principles behind them. We saw some people trying to install these systems in the early 60’s and 70’s, but at that time there were no real standards for installing them. There were cases where some installers were throwing down any kind of wire (like a telephone wire) as a “perimeter loop” around any size room, and hooking it up to any amplifier, and then trying to pass this off as a Hearing Loop system. This was wrong in so many ways! As a result, people in the past with T-coil equipped hearing devices had to sit right next to the wall where the perimeter loop wire was to pick up any level of the audio at all, and yet at the middle of the room/facility they had no audio reception. People became frustrated and the general consensus about the technology was, “that it didn’t work.” This earned Hearing Loop systems a bad reputation in the United States. In reality, it wasn’t the technology that was bad; it was a culmination of bad design, metal loss in the same physical plane of the loop, bad installation, and the wrong product selection. Unfortunately, some of these perceptions of these systems or, technology, still exist. Obviously, you can’t just throw any equipment into a room and hope that it works. This is a point that we strive for people to understand. Attendees of our Listen Basic Hearing Loop Training (Level 1) Webinar have this basic understanding. The International Electrotechnical Commission’s (IEC) IEC-60118-4:2006 standard for Hearing Loop systems is a result of ensuring that understanding. Specification and design considerations of different kinds of loops systems – basic, advanced and phased-array. Requirements of the international performance standard IEC60118-4. Theory and hands-on practical experience of installing, setting up, testing and certifying a hearing loop system. How to effectively set up and measure the system to meet the IEC60118-4 standard. Certifying the system to the IEC60118-4 performance standard. Working knowledge of the different types of test equipment and methods for proper use. Good wiring practices and product placement. How to troubleshoot various real-world challenges to minimize their impact on the system’s performance and utility. Methods for performing site surveys for effective specification and installation of all types of hearing loops systems. At the successful completion of this session and test, the participants will be certified as a Hearing Loop integrator capable of meeting the performance standard IEC60118-4. Listen Technologies is proud of its partnership with the recognized world leader in Hearing Loop Technology, Ampetronic. The partnership allows Listen to distribute world-class technology and provide expertise in education and technical support to the growing number of North American based installers. To learn more about Hearing Loop Installation, I invite you to attend one of our Hearing Loop training courses. Recently, Sam Nord, the Territory Account Manager for California at Listen Technologies had the opportunity to give a presentation on Assistive Listening: ADA Compliance & Hearing Loop Technology to members of the San Francisco Chapter of the HLAA. 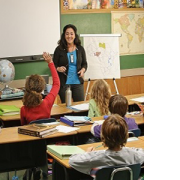 One of the primary missions of the HLAA-CA is to educate people who have hearing loss, as well as their family members, friends, coworkers, teachers, and government representatives. As he was there to educate the members about Assistive Listening, the Americans with Disabilities Act (ADA), and Hearing Loops, Sam’s presentation fit right in with their mission. Of the many highlights at the event, Sam expressed particular excitement about the number of attendees. “I was very excited by the attendance at this event, which I was told was nearly double the usual attendance at these meetings. Clearly Hearing Loops are a hot topic of interest right now,” Nord stated. Hearing Loops are gaining more popularity in the United States for a number of reasons. Firstly, more people have hearing aids that are equipped with t-coils making Hearing Loops the Assistive Listening technology of choice. People who have these types of hearing aids or cochlear implants don’t have to check out equipment that has been previously used by others; they can use their own devices. Secondly, more people with hearing loss are demanding the technology. There are many Loop Movements, like the Loop Utah Movement, gaining momentum all over the country. “I was happy to learn that there are already the beginnings of a grassroots campaign in the area to get more and more facilities looped. There were non-HLAA members in attendance at this meeting who specifically came because they have had requests to put Hearing Loops in their facilities and wanted to learn more about what was required,” Nord said. Finally, the number of qualified and certified Hearing Loop installers is growing in North America to meet the explosive demand for Hearing Loop systems. Throughout Europe Hearing Loops must be installed to the IEC Standard (IEC- 60118-4); integrators in the US are realizing that this quality standard is key to providing end users the best results. A properly designed, installed and operating Hearing Loop system delivers real tangible benefits to T-coil hearing aid users. It is a profound emotional experience. Proper training and certification to meet the IEC 60118-4 standard is critical to that experience. Eventually, all of us will face issues surrounding hearing loss, whether it is our own or that of someone we love. Therefore, creating more awareness about these issues continues to be important for everyone. With double the attendance at his recent presentation in San Francisco, Sam helped build more awareness about some of these important topics. If you know someone with hearing loss (or even if you don’t), we encourage you to become more aware of the ADA requirements for Assistive Listening and Assistive Listening Systems. You can do so by following our blog, visiting our resource pages on hearing loss advocacy and legislative compliance, joining your local chapter of the HLAA, help build the ALDLocatordatabase, or becoming an advocate in your area by starting a Loop Movement of your own. In September, I had the opportunity to help kick off the Loop Utah Movement at the Deaf and Hard of Hearing Festival in Salt Lake City. I’m happy to say, that in the weeks since our kick off, our movement is gaining momentum and we’re receiving support from local businesses, venues, and individuals. As an audiologist and the Chair of the Loop Utah Movement, I decided to have a Hearing Loop installed in my office. The system, which was provided by Listen Technologies, transmits clear, amplified sound directly to the ears of my patients who have hearing aids with T-coils or cochlear implants. The Hearing Loop was installed in my “fitting room” which is where my patients are fitted with hearing aids. This space allows them to experience the Hearing Loop right away and understand how the system can help them have better experiences at venues that offer this type of assistive listening technology. Patients’ experiences have been overwhelmingly positive! After an in-office demonstration, patients become excited about the possibilities of how a Hearing Loop system could improve the quality of life on a daily basis. I have had patients state that they will be requesting this technology at every movie theatre they go to. One patient commented that she is tired of not understanding the dialog when she takes her granddaughters to movies. It limits her experience with her granddaughters when she is not able to connect with them about the movie. She feels like the Hearing Loop system would allow for a much-improved experience. I also have a patient requesting that this technology be installed in her home so that she can actually hear her television shows from her favorite chair. Another patient has a spouse with a voice disorder. Her voice does not go above a whisper. Even with hearing aids, conversation is very difficult for them. An FM system was tried but did not work with their lifestyle. He was so pleased with how well he could hear her voice that he requested a portable Hearing Loop mat to take over to other family members’ homes. Not only do new hearing aid and cochlear implant users get excited about the benefits of Hearing Loop systems, but those who have forgotten how much the technology can be of benefit to them get to experience it whenever they visit. With the in-office system, I am able to remind them of the benefits and improvements of the technology, as well as the need for continued advocacy to improve their listening environment throughout their community. For more information on Hearing Loops, click here. You can also join the Loop Utah Movement by visiting the Loop Utah Movement website at http://www.looputah.org/. 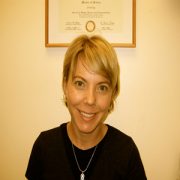 Dr. Anne Lobdell is a licensed Audiologist who has been practicing for over ten years. She obtained her Bachelor’s degree at the University of Mississippi and her Doctorate in Audiology at the University of Utah. Her passion for Hearing Loop technology began early in her career when her grandmother explained how a Hearing Loop allowed her to continue to participate in church services. This made Dr. Lobdell wonder why the technology wasn’t available in more places. She enjoys all aspects of her job and strives to provide her patients with the highest quality of care. Listen Technologies has renewed its partnership with InfoComm and their CTS Renewal Units Program. This program allows over 9,000 professionals with InfoComm Internationals Certified Technology Specialist (CTS) credentials to earn the renewal units they need in order to keep their certification. Specialists have the opportunity to earn four RUs (Renewal Units) by completing Listens One-Day Integration & Commissioning of Hearing Loop Systems (Level 2) Class. Through Listens Hearing Loop (Level 2) Class, AV Integrators and Consultants are trained to the high standards of the IEC 60118-4 specification, which is important to note, because Hearing Loops must be installed to this international standard in order for them to work at their highest performance level for signal strength and frequency response along with other criteria. If a technology doesnt actually work for an end user, theres really no point in installing it. Our course includes an intensive full-day training session that takes people through understanding the technology along with the steps that are necessary to learn how to install a Hearing Loop system properly and to provide a Certificate of Conformity to the IEC 60118-4 standard. Those who attend these courses gain a hands-on practice of creating test loops, setting up, installing, and certifying a Hearing Loop system. They also learn the theories of why it is so important to install them properly. At the completion of the session and passing the final exam, participants will be certified as Listen Hearing Loop Level 2 Integrators making them capable of meeting the performance standards of the IEC 60118-4 standard that was mentioned above. We are very pleased to be partnering with InfoComm to help AV Integrators and Consultants reach their CTS credentials. Its a wonderful opportunity for everyone involved. Not only do participants get to earn Renewal Units towards their CTS credentials from InfoComm, but we at Listen Technologies get to build more awareness about Assistive Listening Systems and Hearing Loops.